Fresh young ginger is the key to this recipe. Beef, chicken or shrimp can also be used instead of pork. Heat oil in a wok or a large skillet over medium-high heat. Stir-fry pork and garlic for 2 minutes. Add ginger and cook for another minute. 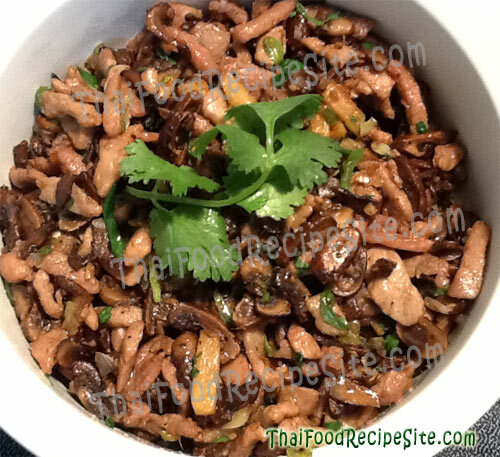 Stir in mushrooms and stir-fry for 1-2 minutes, or until just softened. Add red chilies, fish sauce, oyster sauce, sugar and green onions. Cook for 2 minutes, tossing to combine.